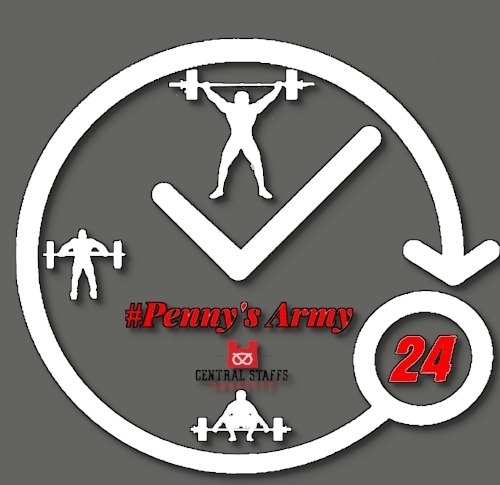 Rich Bell one of our members has taken up a challenge to complete a 24hr workout to raise money for Penny’s Army and Blood Bikes. The event will take start on the 28th December at 9am where a WOD will be start at the top of every hour. We are opening our doors to anyone who wishes to take part. We have appealed to as many Crossfitters as we can, in the hope we reach our fundraising target of £2000. If you want to take part, please hit the button below and ad your name to the list. Once we get the finer details sorted we will send out an email giving you a breakdown of the day. Thank you for registering your interest in supporting our event. You will receive a email shortly.